The International Commission of Jurists (ICJ), Amnesty International, Human Rights Watch, the International Federation for Human Rights (FIDH), the Asian Forum for Human Rights and Development (FORUM-ASIA), ASEAN Parliamentarians for Human Rights (APHR), the International Service for Human Rights (ISHR), The Centre for Civil and Political Rights (CCPR-Centre) and World Organisation Against Torture (OMCT) express deep alarm about the issuing and coming into force of the Decree on Associations (No. 238 of 2017) (‘the Decree’) in the Lao People’s Democratic Republic (Lao PDR). We call on the Government of Lao PDR to repeal or significantly amend the Decree to bring it into line with international human rights law and standards. We also call on the government to fundamentally reform the legal framework for the regulation of associations in Lao PDR and bring it into accord with international human rights law and standards. Repeal or amendment of the Decree must come as part of this fundamental reform of the framework of regulation of associations. The Decree on Associations, dated 11 August 2017, came into force on 15 November 2017. Pursuant to its article 81, this law supersedes the Decree on Associations (No. 115 of 2009) dated 29 April 2009 (‘2009 Decree’). The 2009 Decree had already included imprecise and overly broad terms that led to arbitrary restrictions on the rights to freedom of association, freedom of opinion and expression and the right to privacy in Lao PDR. The new Decree appears to make things even worse. The current Decree gives government authorities in Lao PDR sweeping powers that enable arbitrary restriction or denial of fundamental rights, including the power to unreasonably control and/or prohibit the formation of associations; arbitrarily broad powers to inspect, monitor and curtail the activities and finances of associations; the power to order the dissolution of associations on arbitrary grounds and without right of appeal; and powers to discipline associations and individual members on arbitrary grounds. The Decree also includes measures to criminalize unregistered associations and allow for prosecution of their members. 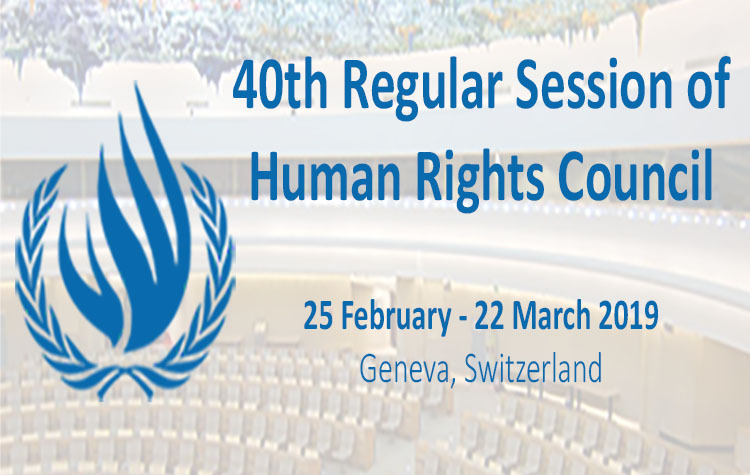 The UN Declaration on Human Rights Defenders also affirms the rights of persons to freely form and join associations – non-governmental or otherwise – and asserts States’ duties to implement necessary legislative, administrative or other measures for effective promotion and protection of these freedoms. The current Decree imposes on associations and individual members more explicitly restrictive limitations than had been imposed under the 2009 Decree. Under the current Decree, government authorities have wider arbitrary powers to prohibit activities by associations, dissolve and suspend associations, and “discipline” or criminally prosecute associations or their individual members who violate the law. Restrictions on associations’ activities have also been expanded under article 31 of the current Decree, and key terms in the law delineating restrictions are not defined, allowing for arbitrary decision-making by government authorities. Violation of prohibitions listed under article 31 of the current Decree now makes an association explicitly subject to dissolution under article 48. Article 48.1.4 also explicitly allows for dissolution if an association “does not apply for registration”. This further expands the grounds for dissolution that were set out in the 2009 Decree – “expiry of operating terms”, “failure of associations to operate over 12 months” or “attainment of objectives stipulated in an association’s charter” – which had already allowed for arbitrary restrictions on the right to freedom of association. These restrictions are retained in article 48 of the current Decree. Maintaining stringent monitoring and inspection at village, provincial and central levels of almost all operations of associations, including their organizational structure, activities and use of resources. In the attached legal brief, these limitations have been detailed with reference to relevant provisions of the law. We call upon the Government of Lao PDR to immediately repeal or significantly amend the Decree on Associations, to respect its obligations under international law, and to conduct a fundamental reform of the framework of regulation of associations. Arbitrary, overbroad and discriminatory elements of the current framework must be entirely removed. The law should make clear that individuals are free to form private unincorporated associations without needing to notify or register the association with the State. For those individuals who wish to incorporate an association so that it acquires separate legal personality, we recommend that the law provide for automatic registration upon notification by individuals where simple administrative requirements are met, rather than a system requiring prior permission of State officials. This is pertinent given that legal provisions are likely, in the context of Lao PDR, to be applied in practice in a discriminatory manner to prevent the formation or operations of associations perceived by the authorities as inconsistent with the ideology or political policies of the Lao People’s Revolutionary Party. Discretion of authorities to refuse to register an association should be eliminated or at least be very narrowly defined, and applicants should have the right to appeal or review, by an independent and impartial court, of any refusal or other measures that could negatively impact the association. If authorities retain any authority to dissolve registered associations, the grounds for such dissolution should be explicitly and narrowly defined. This is to preclude dissolution based on discrimination on grounds of political opinion or other grounds protected by international human rights law and standards: for example, grounds for dissolution could be limited to situations where the association has been directly used to commit acts properly characterized as criminal in accordance with international human rights law and standards. The law should also provide that dissolution may only be ordered by an independent and impartial court, after a fair hearing for affected persons and associations. Please do not hesitate to contact us if you have any comments or questions. We stand by to provide any assistance required. 4 Articles 17(1), 19(3) and 22(2) of ICCPR. 5 See e.g. UN Human Rights Committee (HRC), General Comment No. 34: Article 9 (Freedoms of Opinion and Expression) (2011) UN Doc. CCPR/C/GC/34, §22. 6 Articles 31, 48, 77 and section 12 of the Decree.